ISIS and Shimano compatible BB tool for 8 notch cups. I bought this to replace a similar Park Tool BBT18. 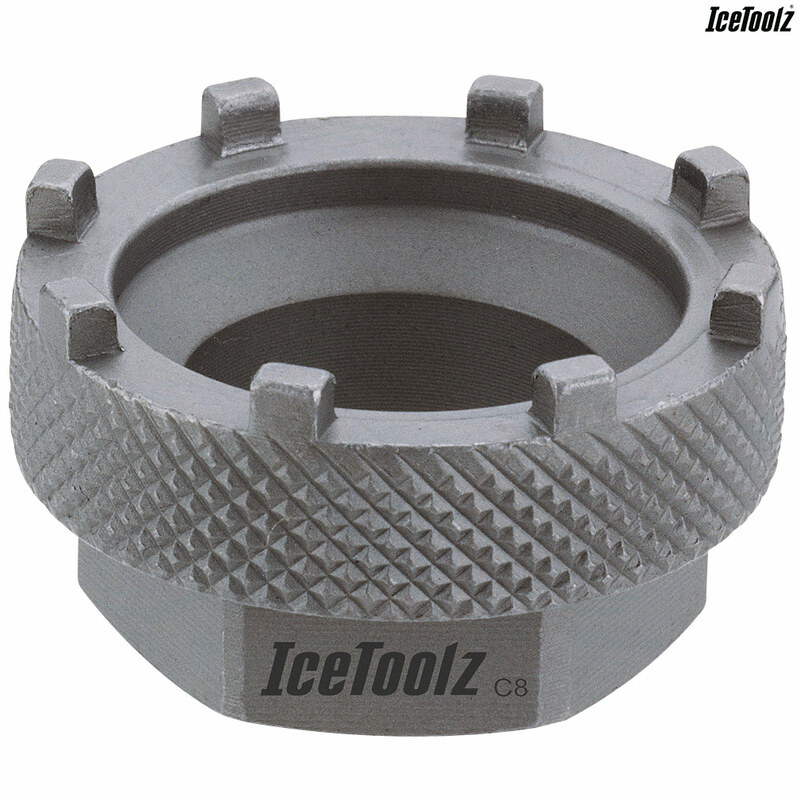 Unlike the Park Tool this one can be used with a 32 mm socket, common in most 1/2 inch socket wrench sets. This is important, if you want to use a torque wrench. Besides that, the price is lower. The tool is a little more "chunky" compared to the Park Tool, typically done to compensate for "not quite so great" material guality (steel alloy, hardening). But, the taps fit and there are no clearance issues on a BB. Seems plenty good for occasional use anyway. Do you know if this tool the correct size to use on a Middleburn RS7 crank arm lockring. As we do not stock that particular lock ring we would not be able to check and compare it i'm afraid.